Imagine a client just posted a picture on Instagram and he/she is wearing/using your product, you really need to repost or share that picture on your Instagram account as a testimonial but cannot find out how it is done. This tutorial will teach how to repost videos and photos on Instagram. 5 Apps and website applications will be listed below alongside their instructions and capabilities. The RepostWhiz App can be used to repost (share) both videos and photos ancan be downloaded free from Android or IPhone stores. Videos and photos will appear in a single column or grid view. Click repost under your selected video or photo. App allows you repost now or repost later. Video or photo are saved to camera to repost later. App’s name will be embedded on the post. The Repost App can be used to repost (share) only photos and is only available on IOS. View your feed in this app, then click on a picture you’d like to repost. The profile picture of the account you are reposting will appear as a black or white bar on the image which can be rotated to all four sides. Click repost to open and share the photo in the native Instagram app. 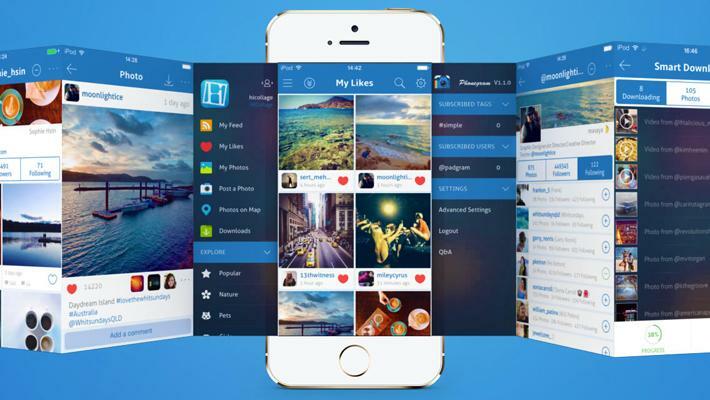 If you want to like photos, follow users and enjoy an ad free App upgrade to the PRO version. The PhotoRepost can be used to repost (share) both videos and photos. The PhotoRepost was previously known as InstaRepost, and can be downloaded free from Android and IPhone. Click repost under the video or photo and you will see a watermark of the user’s name placed on any corner of the picture with three transparency levels. You can also remove the small InstaRepost logo from the picture with an in-app upgrade. You can then open the photo in Instagram as a direct repost or quote repost, direct repost will include the original poster’s caption in your account’s caption field. Videos are saved to your camera roll. Statigram is web application which can be used to repost (share) photos only. Naviaget to Statigram on your browser and click on the picture you want to share, click the repost button under the photo. Click “Send me by email,” and receive an email from Statigram with the preview image attached. You can then save the image to your phone’s photo library and upload to Instagram as normal. Webstagram is a web application that can be used to repost (share) photos only. Webstagram users can apply the same directions as the above reposting method and have the picture, marked with the original poster’s name, emailed or saved into your Download folder (on PC). Hope you enjoyed the Tutorial on how to repost videos and photos on Instagram, do you have any question? Leave a comment below.